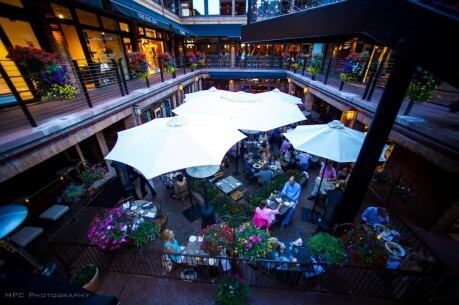 It’s a summer Saturday night in Aspen, and Cache Cache is buzzing. The crowd is a mix of locals and well-heeled tourists, with the occasional star athlete or incognito actor taking up a corner table. For nearly 20 years this hip and sophisticated space has been drawing critical raves and fashionable clientele, but they’re not just here for the atmosphere. Cache Cache has flourished thanks to its dedication to food. The cuisine — simple and elegant French fare with a Provençal influence — is built around fresh, local ingredients (and a formidable 5,000 bottle wine cellar). This summer, heirloom tomatoes, mushrooms from the nearby mountains, and 7X all- natural Colorado Beef have been the highlights of the menu. The New York strip from 7X Beef is a recent addition, and a welcome one. 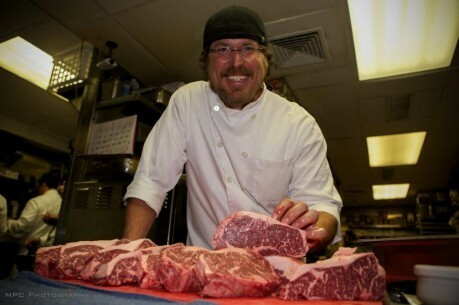 Chris Lanter, Executive Chef and co-owner, loves working with a steak that slices as easily as butter. “This is definitely some of the best Colorado beef I have ever eaten,” says Lanter. He knows good beef, having worked with some of the rarest cuts as he honed his skills as a chef in Paris and Provence. Lanter keeps the preparation of the 7X New York strip simple, with light seasonings, salt, and pepper. It’s placed on a hot grill until it’s perfectly cooked, then sliced and served with just a drizzle of Villa Magra virgin olive oil. “We don’t use any sauce, because we really want to feature the true taste of the meat,” says Lanter. The steak is also accompanied simply, with tempura spring onions and grilled zucchini. 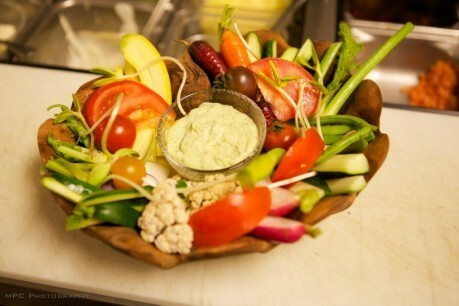 Cache Cache makes it a priority to serve as much local food as possible during the summer, with 98 percent of their produce coming from the farms and ranches in the Aspen area. 7X Beef, from ranches just on the other side of the Elk Mountain Range, is a perfect addition to that localvore philosophy. Chef Lanter creates dishes based on his customers’ requests, and 7X Beef was the perfect solution for clientele craving an exceptional steak.